Starting 2019, Nippert Stadium will become an MLS venue for the very first time. 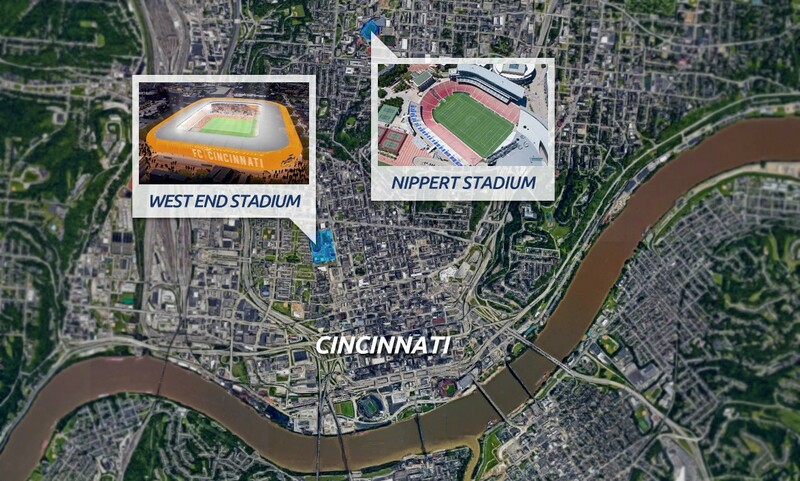 FC Cincinnati will continue playing here until they deliver a new, purpose-built stadium in West End. Last week MLS officially announced that FC Cincinnati is joining Nashville SC as the second expansion team. Not without reason, too. Last year precisely these two clubs drew the largest crowds across USL (2nd league) and FC Cincy dominates in this category with 23,897 people per game. It almost seems unreasonable for them to plan a 21,080-seat new stadium, smaller than their current regular crowds. But that is the plan, a brand new home in West End, to be built in 2021. 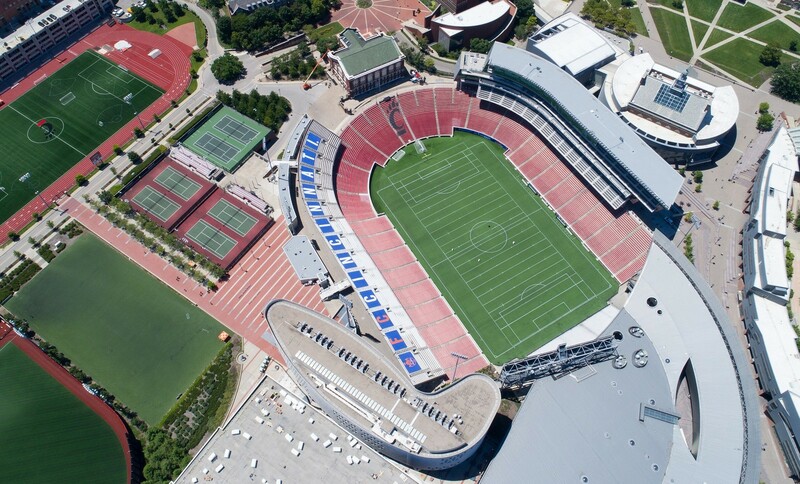 Until then they will continue to use Nippert Stadium, which is exactly why we added it to StadiumDB. 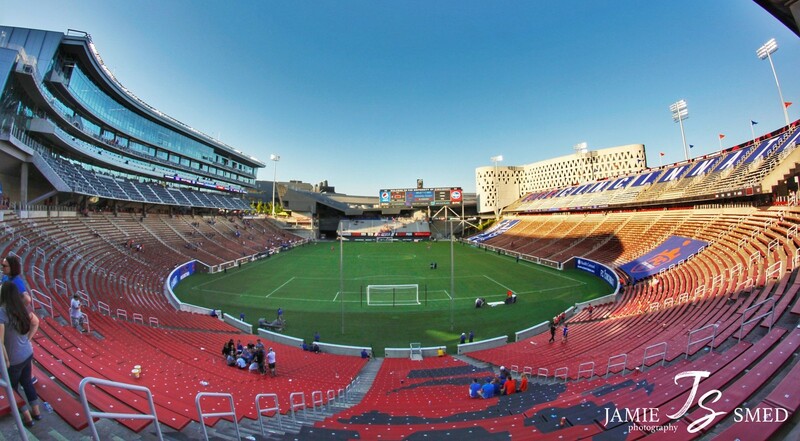 Nippert is the kind of stadium you should know for its shape and history, of course along with FCC's growing and vibrant fanbase. It's one of the oldest university football stadiums in USA, operating almost continuously since 1901, closed only for renovation periods. Of course upon its opening, it was a very modest venue, limited to a field and wooden stands, named simply varsity field. The stadium's creation followed Arch Carson's initiative from 1895. That's why the field bears his name to this day, while the stadium's name is owed to a tragic story of Jimmy Nippert, reportedly an exceptional athlete who suffered from presumably non-threatening injury during a 1923 Miami University game. Unfortunately, due to lack of proper first-aid and post-game treatment, his wound got infected and he died after a few weeks. His grandfather, James N. Gamble (co-creator of Procter & Gamble) donated $270,000 towards improvement of amenities at the stadium, specifically towards player safety. The tragic accident happened during a long and arduous reconfiguration of the stadium, done in phases and with limited funding since 1915. Initial plans envisioned a full seating bowl, but the north curve was never delivered. In 1936 the decision to get rid of Nippert Stadium's running track was made, followed by lowering the field by further 3.7 meters in order to create new front rows. To this day the outcome is visible – part of the lower tier has lower rake, while its upper sections are more steep. Expansion of the east stand by mid-1950s allowed nearly 30,000 to be reached. The horseshoe stadium remained almost unchanged until 1990s since then. As the millennium was ending, so was the lifespan of some of the concrete structures. Improvements and upgrades changed the standard, but not the overall image. Much greater changes came in the new century. First, along with the new recreational centre behind the north goal (2005) came a brand new permanent north end, replacing temporary sections of the past. Irregular in shape and closely accompanied by modern architecture, the stadium became instantly recognisable. Then in 2015 the most expensive changes to date took place. For $86 million a brand new pavilion was added with corporate and press facilities atop the west stand, for the firts time reaching 40,000, at least nominally. 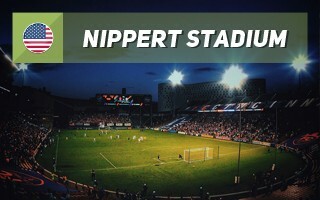 Since then Nippert Stadium lost 1,200 seats in 2017, following dismantling of portions of the south curve. This alteration was made to accommodate FC Cincinnati, the stadium's first soccer tenant.